Hearing aids, pocket calculators, laser pointers, implantable cardiac defibrillators, and keyless remote entry key fobs are all powered by button and coin cell batteries. Most of these batteries have a low self-discharge, meaning that they hold a charge for a long period, which gives them a long shelf-life. Products that require long, continuous service rely on these types of batteries to keep us on time, and (in the case of pacemakers) even keep us alive. A single battery can provide five to ten years of an artificial heartbeat. 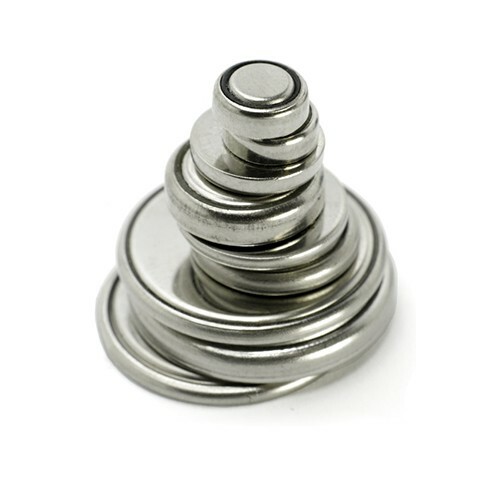 Button and coin cells get their name from the shape and size that resembles coins. Thinner varieties are called coins because they resemble coins, while thicker cells are called button cells because they look like buttons. Sizes in coin or button cells range from 5 to 25 millimeters in diameter and 1 to 6 millimeters in height. These batteries are single cell, normally primary cell batteries - this means that they are disposable after a single use. Secondary batteries, though seldom seen, are rechargeable and are usually used in computers and handheld gaming devices to store data when the device powers off. The more you know about the specs of coin and button, the better you’ll be able to get maximum battery life and efficacy. If you need a coin cell battery, please reach out to us at Battery Power at 352-314-9001 or use our online contact form for assistance.